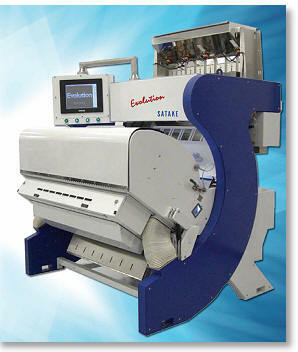 The new Satake Evolution RGB Full Colour Sorter takes optical sorting technology to the next level. 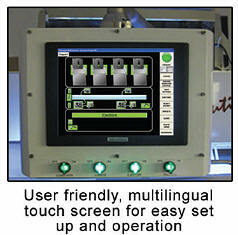 Using new technology, the Full Colour Camera uses three wave lengths, which are R(red), G(green) and B(blue). 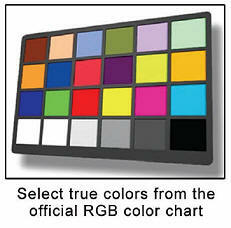 It can therefore detect and reject material of similar colours, but different shades. 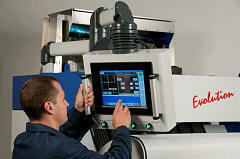 The 'Evo' uses a chute configuration to allow large granular products to be sorted with ease. 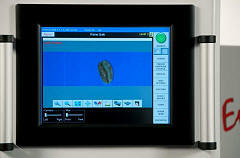 The machine is designed to be capable of taking products such as almonds, pistachio, pulses, coffee beans etc as well as being extremely effective on smaller products such as cereals and vegetable seeds. 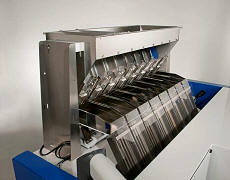 The Sorter's excellent efficiency results from its LED product illumination technology and its ability to detect small colour differences by comparing acquired images with stored data. 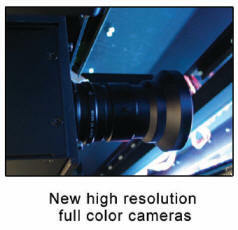 Sensitivity setting by using real image data is a step change in technology.